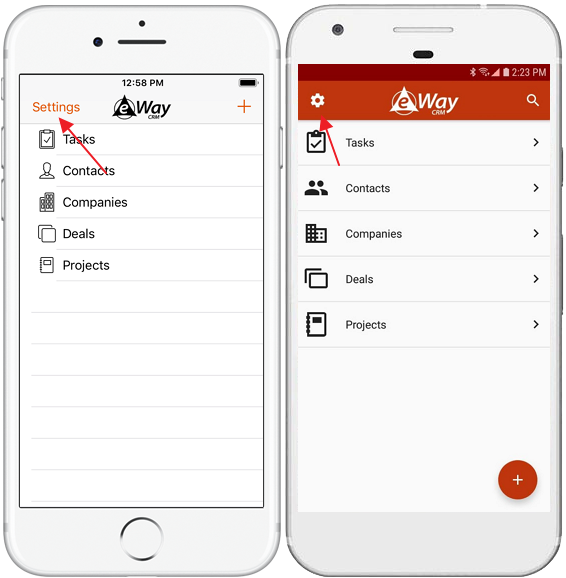 eWay-CRM Mobile allows you to send our eWay-CRM support team error log if you are experiencing some troubles during work with application. This log helps us to solve all issues as fast as we can. Tap on Settings in the main window of the application. There is Logging option in the menu. Select it. Now, you are in the log activity. 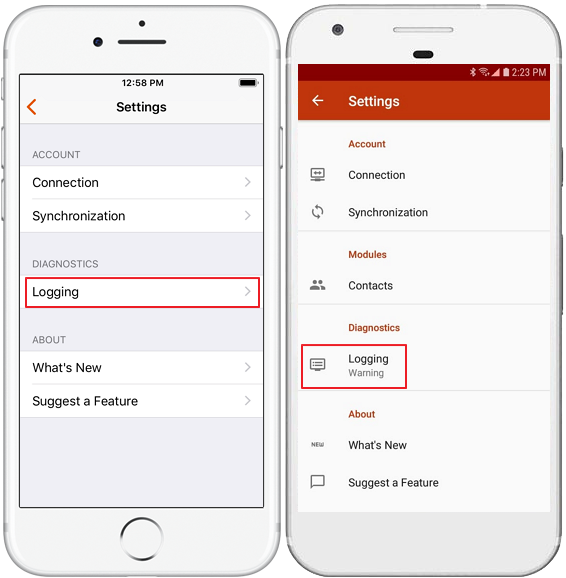 Enable Logging There you turn on or turn off the function of logging the errors. If the option is disabled, log file is not created. Debug: Log file will contain as many issue records as possible. Warning: Warnings and errors are entered into a log file. Error: Only errors are entered into log file. Log File Size Information field with size of the file. Send Log File Tap the option and send the log file to our support team. 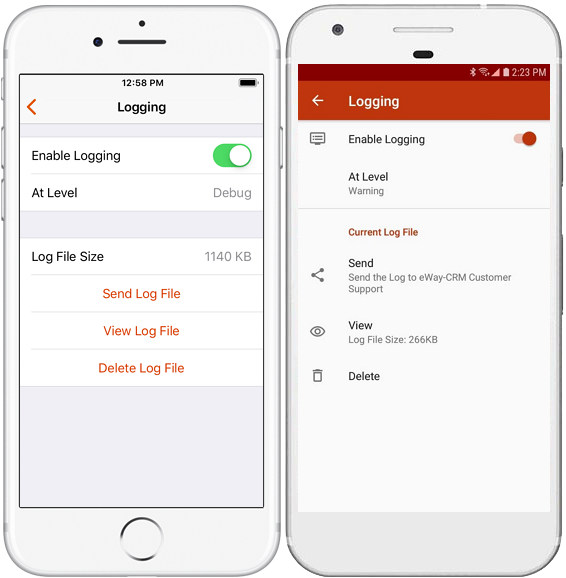 View Log File Tap to open log file right on your phone. Delete Log File You can delete log file if it is too big or you are sure you do not need it.